On Thursday, Dec. 7, students in SPAN 1100 (second semester Spanish), had an opportunity to put their language skills to good use when they met with the president of the bilingual newspaper Red Latina, located on Washington Ave. Students shared their future plans for networking, advertising and interest in working with Hispanic communities in the St Louis area. 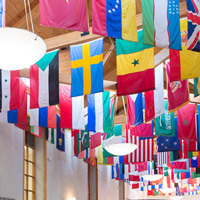 In the Fall, the Department of International Languages and Cultures (ILC) will begin offering French- and Spanish-to-English Translation Certificates. This program will coincide with ILC’s move to Browning Hall, the new Interdisciplinary Building, where there will be a state-of-the-art Translation Lab. 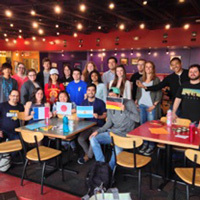 Translation is one of the fastest growing occupations according to the U.S. Department of Labor, and Webster has one of the few professionally-oriented translation certificates in the country. In celebration of Hispanic Heritage Month (Sept. 15 to Oct. 15), students in Spanish and Methods in the Teaching of Foreign Languages and ILC teaching assistants, attended the St. Louis Public Library event, We Are St. Louis: Mexican Heritage on Sept. 21, learning about the history of the Mexican community in St. Louis. 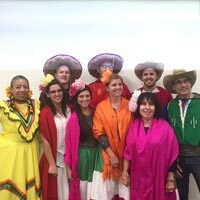 The Department of International Languages and Cultures (ILC) is excited to announce its 2016 selections for the Webster University / Universidad Nacional de Cuyo student exchange program. Webster Freshman, Felix Cramer, has been selected to spend the Fall 2016 semester in Mendoza, Argentina. 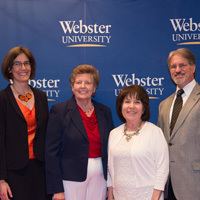 Universidad Nacional de Cuyo student, Maria Mercedes Romero Day, has been selected to spend one year at the Webster University home campus in Webster Groves. 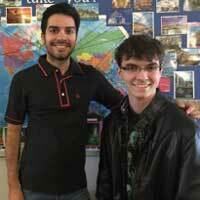 As this year's program concludes, ILC's current Argentinian teaching assistant, Matias Ochoa, returns home to Argentina May 2016. 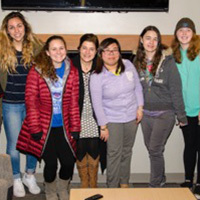 Nearly 30 Spanish students participated in an intensive language weekend course April 1-2, practicing Spanish together over two days in a setting that allowed everyone to feel comfortable in their abilities. 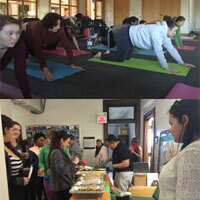 Students were also exposed to various aspects of culture in Spanish-speaking countries.